Yesterday was a big day for the Catholic Church. 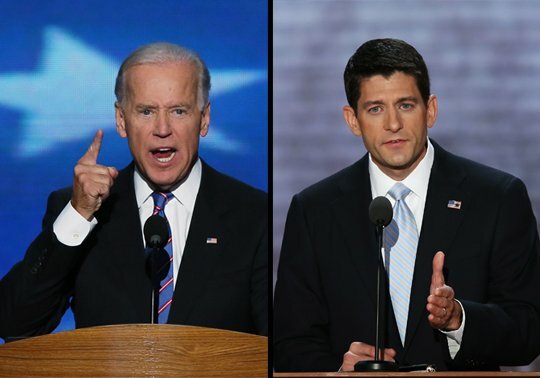 Not only was October 11th 2012 the 50th anniversary of Vatican II, it was also the day of the “historic” US Vice-Presidential debate between two Catholic candidates, Democrat Joe Biden and Republican Paul Ryan. The historic debate was also billed as a “Catholic Thrilla in Manila” and a “Catholic Smackdown” because the Vice-Presidential candidates are influenced by their Catholic faith in similar and yet very divergent ways. Unsurprisingly, major talking points in the debate centered on abortion and how they both agree that life begins at conception but disagree on how that conviction shapes public policy. I don’t see how a person can separate their public life from their private life or from their faith… Our faith informs us in everything we do. My faith informs me about how to take care of the vulnerable, of how to make sure that people have a chance in life… Now, you want to ask basically why I’m pro-life? It’s not simply because of my Catholic faith. That’s a factor, of course. But it’s also because of reason and science. The Catholic social doctrine talks about taking care of those who — who can’t take care of themselves, people who need help. With regard to — with regard to abortion, I accept my church’s position on abortion as a — what we call a (inaudible) doctrine. Life begins at conception in the church’s judgment. I accept it in my personal life. I do not believe that we have a right to tell other people that — women they can’t control their body. It’s a decision between them and their doctor. In my view and the Supreme Court, I’m not going to interfere with that. Some of the changes brought about from the council include: use of vernacular language instead of Latin; priests face the congregation instead of turning their back to them; increased openness to other religions and Christian denominations; and an increased emphasis on the laity in the church. Nevertheless, although the role of the Catholic Church within modern society will continue to be debated over, it is clear — if the recent Vice-Presidential debate is any indication – the ancient Catholic Church will continue to have a voice in the modern secular world.